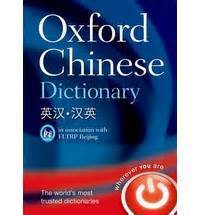 For Chinese English Dictionary translations, scroll down. This page features a list of the 100 most common words in English, alongside their Chinese translations. There are many different Chinese languages, but the official language of the People's Republic of China, Taiwan, and Singapore is called Standard Chinese. To print this list, just highlight the text and select the PRINT option from your file menu. For a more comprehensive collection of Chinese English Dictionary translations, try the Google Translate program, available free online. Wǒ zài nǎlǐ kěyǐ mǎi dào shíwù? Nǐ néng gàosù wǒ qù...? Zhè shì shénme yìsi ____?